I received confirmation of my HIV status in January of 1991, though I know I became positive in March or April of 1988. It was my first year out of college, and I decided to celebrate my birthday by finally acting upon the incredible urges that had been building inside of me slowly but steadily for several years. Truth is, by then my desire to be with a man filled my thoughts just about every waking hour. I cannot tell you the exact date it happened, but I do know it happened during several sexual encounters with guy-I-slept-with-first or guy-I-slept-with-second over the course of a month or two. Thankfully, guy-I-slept-with-third gave me the real facts about the spread of HIV and the need for protection. It took me several years to come out and I did so first as a straight man living with HIV. It was another year or two before I finally came out as gay. By my early 30s I had become fully entrenched in gay life in Boston, Massachusetts. During those years I attended far too many funerals of young men with promising lives that had been cut way too short. I recall attending a funeral of someone who had made it past 40 and thinking, “Good for him. He didn't die so young. Maybe I'll be so lucky." I'm not sure why I survived when hundreds of thousands of others did not. In those early days, I did not, could not, plan for a future. Not for more than a couple of years away. Certainly not one involving a husband and children. An important part of what we do at Gays With Kids is to show off the incredible beauty of the diversity within gay dad families, which includes HIV-positive gay dads like me and their children. 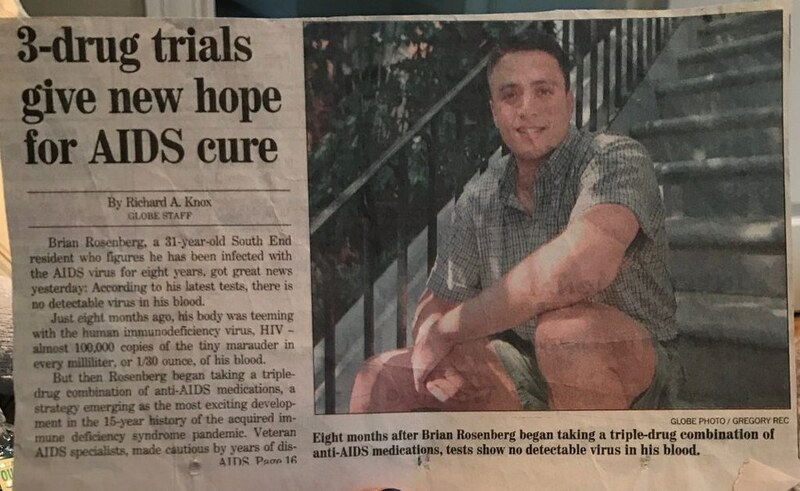 I hope my story, and the stories of the men in previous articles on Gays With Kids, will inspire other HIV-positive gay men to consider fatherhood.